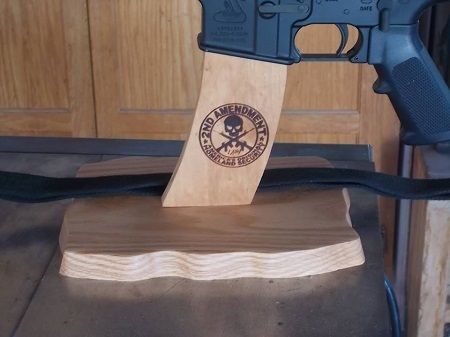 This AK47 Rifle Display Stand is handmade right here in the USA from solid oak to showcase your rifle in a distinctive way. Whether shown on a mantle, bookshelf, or table this stand is a home run! 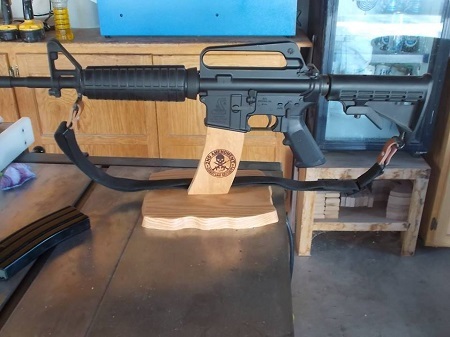 Base is cut in irregular style to give it that rugged look that the rifle is known for. 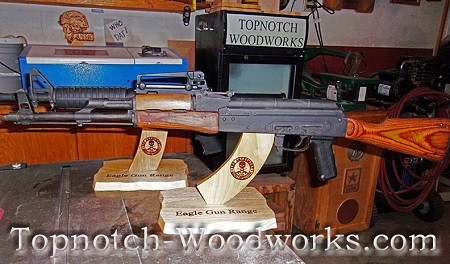 Stand is sanded smooth, and 2 coats of Tung oil varnish provide a nice finish. Base measures approximately 8"x8".